With only 30 months left before 2020, and with the burning passion of the Holy Spirit in his heart, Dr Phillips has resolved to not return home until all funds needed are raised. 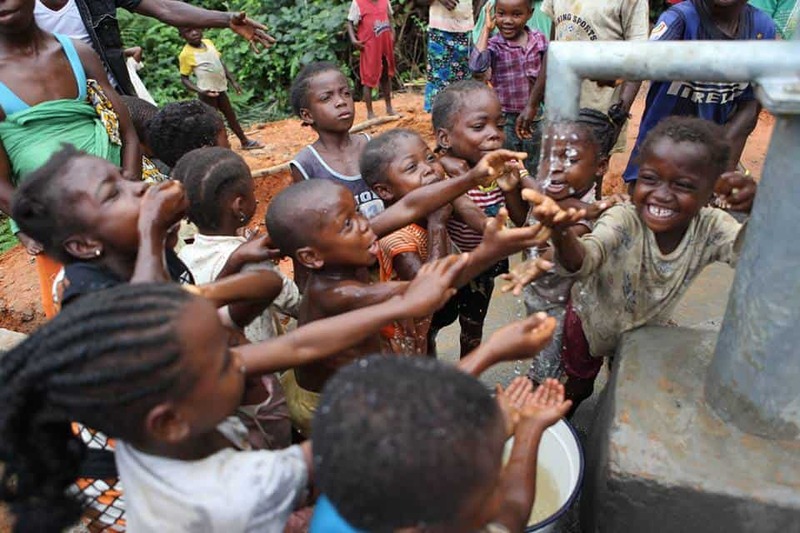 This will help reach the last 500,000 Liberians with safe-drinking water. Half of that number are children needing the precious life-giving resource of clean water. While floating on the barge in Lake Hubbard, Dr Phillips is using The Last Well‘s Sawyer Safe Water System. By filtering his own drinking water from the lake, he is identifying with those his ministry is committed to reaching. With a tent to sleep in while on the barge, his organization is offering potential sponsors an opportunity to spend anywhere from an hour to a full day on the 20×22 barge. The Last Well website states they have reached more than 1.7 million Liberians with the Gospel and clean water since 2008. After a youth ministry led by Dr Phillips watched the movie, Amazing Grace, about William Wilberforce being used by God to end slavery in the United Kingdom, they wanted to to help end a great injustice in their generation. After prayer and research, the youth group found that Liberia had the greatest need. They learned that Liberia has had a water crisis after experiencing two devastating civil wars and much needed infrastructure was wiped out during the wars. They had to turn around the statistics of 100 people (including many children) dying each day in Liberia, from water-borne illnesses. With the leadership of Dr Phillips, The Last Well has successfully raised over $35,000,000, bringing the Gospel and clean water to Liberia. This will be the first time in history that an organization has reached a nation with an initiative like this from border to border.